The Summer Riding Camp at ORR&RC is a fun and educational summer experience. Each session is a four day program in riding and horsemanship. Our goal is to enrich each participant’s riding ability, knowledge and understanding of horse care and showmanship. Each day provides a balance between riding, stable management, showmanship and fun horse-related activities! 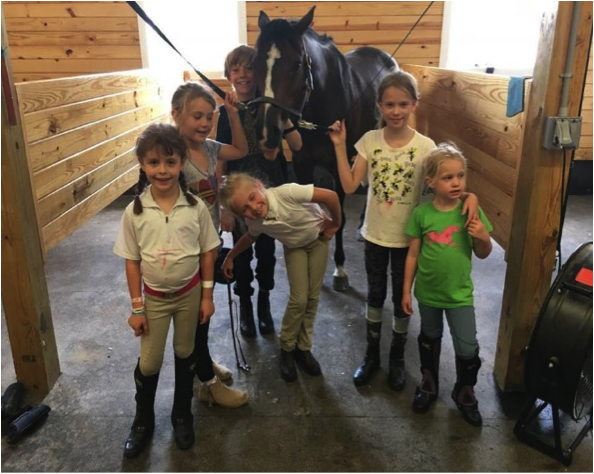 We only accept a limited number of children each week so the program is personalized and the riding lessons will be in Groups of 2 or 3 at a time depending on the rider’s level. 50% deposit due now to guarantee your space. Deposit is non-refundable and non-transferable. The remainder is due by May 1, 2019. ​Please fill out and sign the attached form and send it to Ox Ridge with your deposit to reserve your space.